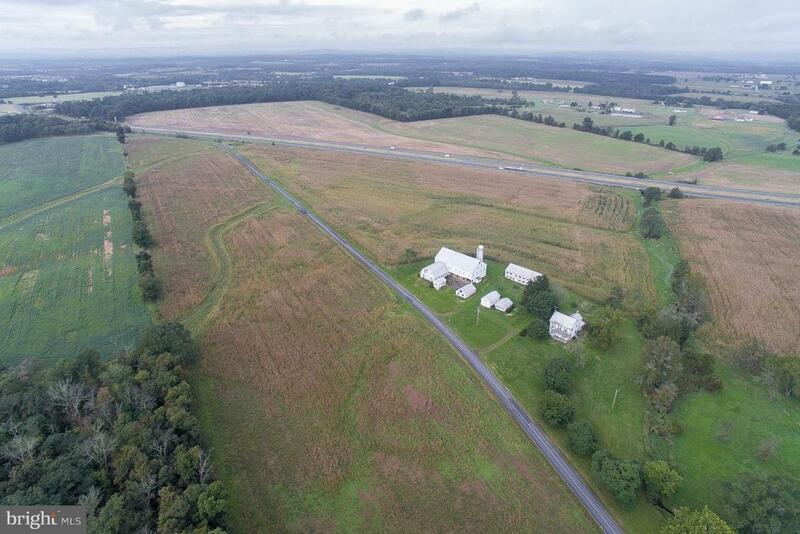 Total 182.8 acres with high visibility frontage on both sides of US Rte 15 immediately north of Rte 394 interchange. Over 2850 sq. ft. frontage on both sides of Zepp Rd. Approx. 110 acres tillable; under crop lease thru 2019. Approx. 26 acres wooded. Small stream. c. 1890 farmhouse in need of renovation. Bank barn, pole barn & additional farm buildings. MU-1 zoning allows residential & certain business uses. Rte 15 R-O-W is 21.5 acres. Zoning Description Mixed Use - Allows Some Residential & Certain Business Uses. Acceptable Financing Conventional Accessibility Features None Association YN No Business Type Other Central Air YN No Cooling Fuel None Electric 200+ Amp Service Heating Fuel Oil Hot Water Electric Incorporated City Name Straban Twp Navigable Water YN N New Construction YN No Original MLSNumber 21610612:RAYAC Ownership Interest Fee Simple Possession Settlement Property Sub Type Other Sale Includes Business And Lease Sale Type Standard Sewer Septic Exists Tax Annual Amount 4287.0 Tax Assessment Amount 277500.0 Utilities Above GroundCable Tv AvailableElectric Available Vacation Rental YN No Water Source Spring Zoning Mu-1 Zoning Description Mixed Use - Allows Some Residential & Certain Business Uses.